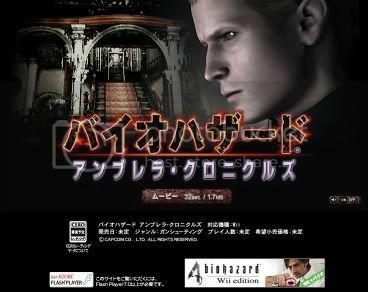 Capcom's Japanese website has opened up webpages for their two new Wii Resident Evil titles. Namely, Umbrella Chronicles & Resident Evil 4 Wii Edition. 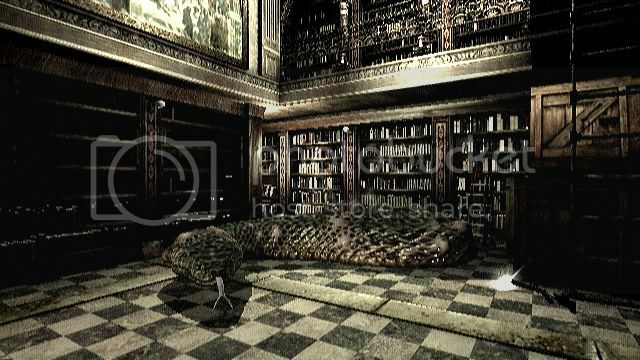 Currently, the Umbrella Chronicles only offers a small flash video of the game. The GIF image below is only a small preview of the video. 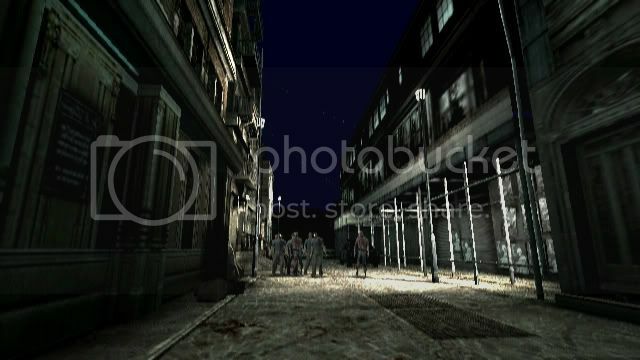 On the same site, you can find a link to the site dedicated to Resident Evil 4 for the Wii game console. Capcom has confirmed the following information concerning Umbrella Chronicles, in the latest issue of Japanese gaming mag, Famitsu. Details the history of the rise and fall of the Umbrella Corporation. Characters to be featured in Umbrella Chronicles include: Chris Redfield; Jill Valentine; Rebecca Chambers; Billy Coen; Albert Wesker; among others yet to be announced officially. The game will have a first person perspective and it will be an "on-rails" shooter. However, the player will has some control over what path he/she can choose to travel on. This can be done at certain points of the game. 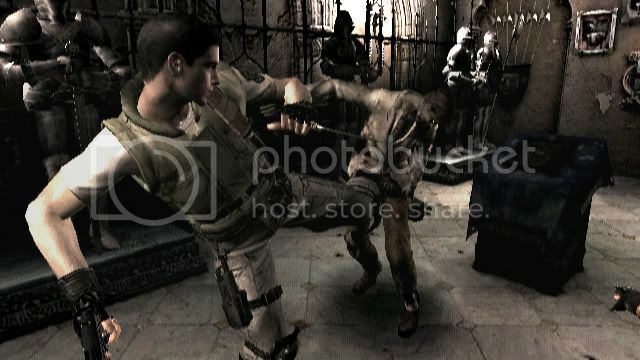 When you are doing certain "moves" with the Wiimote the game will switch to 3rd Person view so you will be able to see your character on screen during these moments of non shooting action. The gamer will be able to look around with the Nunchuck's analogue stick to find clues and secrets. 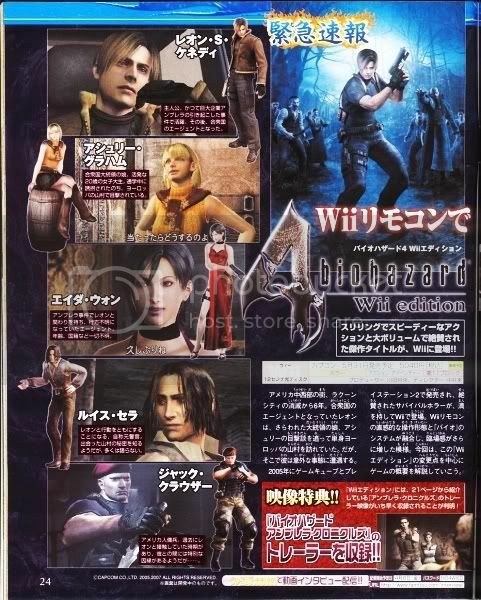 In the latest edition of japanese magazine Famitsu, it was confirmed by Capcom that a special edition of Resident Evil 4 will be available for Wii. 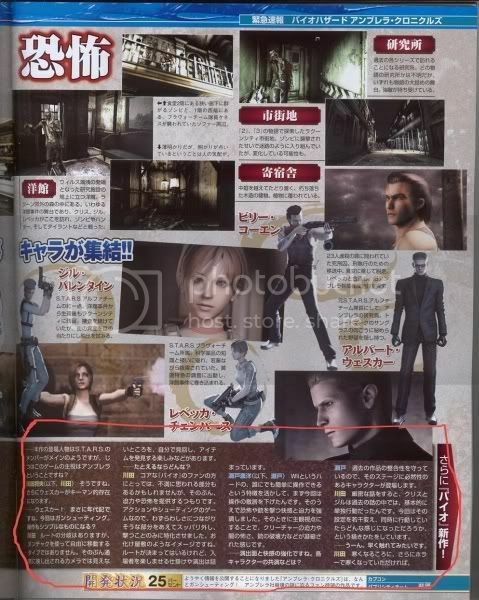 RE4 Wii Edition will feature the extra content included in the PS2 edition of the game. This update promises full Wiimote support. The Wiimote is used to aim a targeting cursor in order to target and fire at your enemies. To reload, you hold down on the B trigger and shake the Wiimote. In case you were wondering, the built-in speaker is being programmed with a reload sound effect. 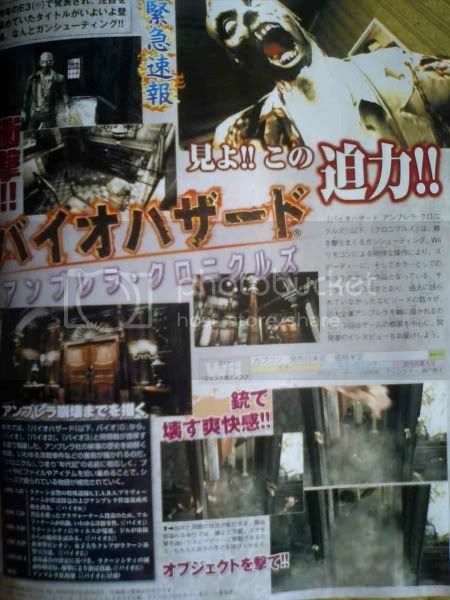 Also, the game will be sold with a trailer of the upcoming Wii title, Umbrella Chronicles. Let's hope this is not one of those early April fool jokes, but it seems that online retail store GameStop published on it's page that Resident Evil 4: Wii Edition would be on sale on June 27th of this year, at a price of $29.99 dlls. As soon as people noticed the availability of this game and contacted GameStop about it, the retail store took down any information regarding Resident Evil 4: Wii Edition. Later on, Capcom was also contacted and the company reps would only reply with a "no comment". Now, this would not be the first time a retail store revealed the existence of a game before it was officially announced. Case in point, when EB games revealed that there would be a Ratchet and Clank for the PSP. 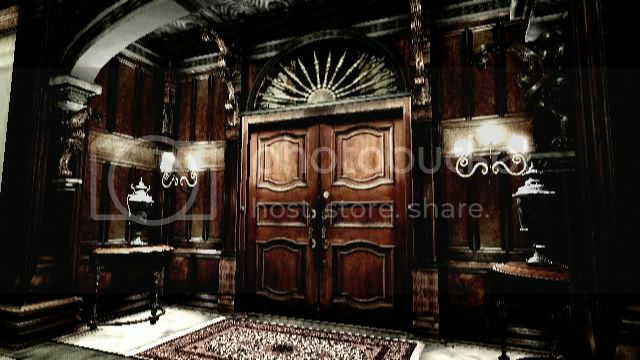 The same employee, also checked the release date for Resident Evil: Umbrella Chronicles and it seems that it will be relased on October 19th, 2007. A little bit more info on this game. Capcom's senior director of strategic planning and research, Christian Svensso, has confirmed that Resident Evil: Umbrella Chronicles will support 16x9 and 480p. 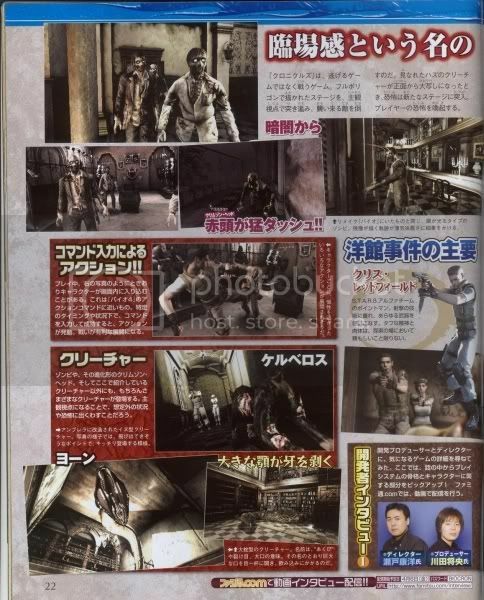 Nothing more was revealed about this game at this time, but it is expected (hoped) that Capcom will reveal more about Umbrella Chronicles during the next Gamers Day to be held on April 12. Capcom has recently confirmed that Resident Evil: Umbrella Chronicles is indeed coming out for the Wii game console, in 2007. 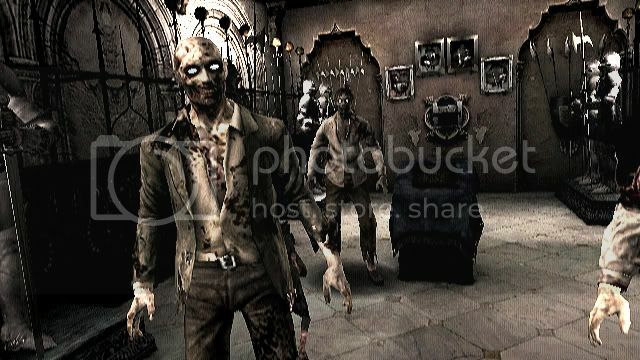 The said company contacted a blogger named Chris Kohler who posts at the WIRED Blog Network, and Capcom informed him about the following: "Capcom announced Resident Evil: Umbrella Chronicles for Wii at E3, and it is still on track for 2007 release". 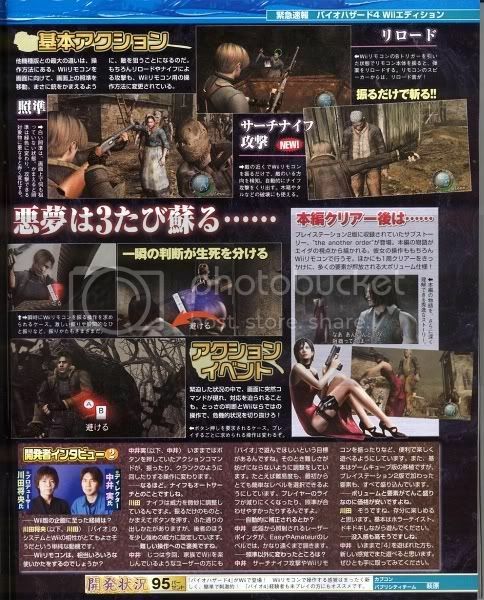 It was also mentioned that Devil Kings 2 and other Capcom games are on their way for the Wii in 2007. GameNext has reported that an employee from Capcom mentioned that Resident Evil 5's progress was moving at a very slow pace. Because of that, no accurate release date could be given. He also added that the game would hit the PS3 first. 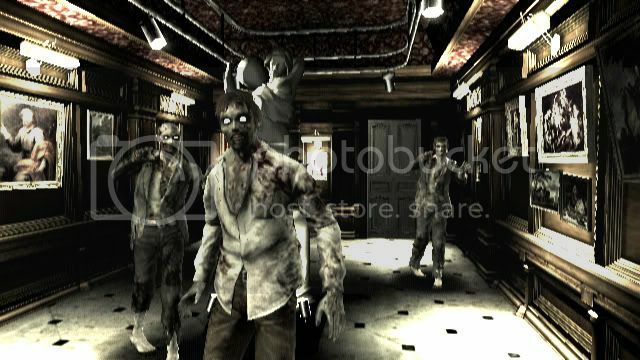 The Xbox360 version would be released on a later date. The Annual Interactive Achievement awards excluded several Capcom videogames from being part of the event, based on the fact that the said company refused to pay AIAS money to have their games nominated. 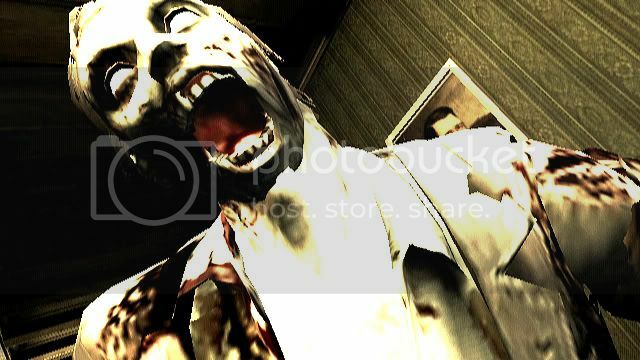 As a result, some of the best games of 2006 that were developed by Capcom, like Okami and Dead Rising, were not nominated for an award. "According to the rules, you have to be a member for your game to be nominated," the AIAS rep said at the time. "There was a write-in option, and Resident Evil 4 got written in, but Capcom chose not to play," the rep said. "For last year's awards, so many voting members of the AIAS were upset that Resident Evil 4 was completely left off the list for awards consideration that the members themselves wrote in the game. Upon seeing the results of the write-in votes, Capcom Entertainment was contacted by the AIAS and told that the game would still not be eligible for any awards unless the company joined the organization. Our company was told, in essence, 'Pay to play,' a sentiment echoed in the quote from the AIAS representative." Capcom is not the only game developer excluded from the AIAS awards. Other publishers like Tecmo, Majesco, and Eidos Interactive have their games excluded from being nominated, because they are not members of AIAS. 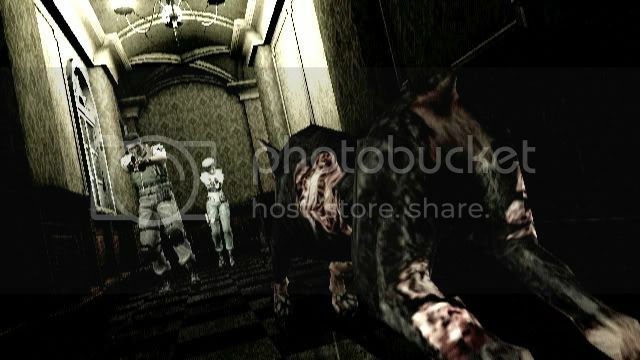 The BioHazard for Wii is NOT a side story, it is a main stream series game similar to Code:Veronica, which was not numbered and expanded the franchise's storyline. Umbrella Chronicles will be in that sense, very similar. Game's engine is based on BH4's.